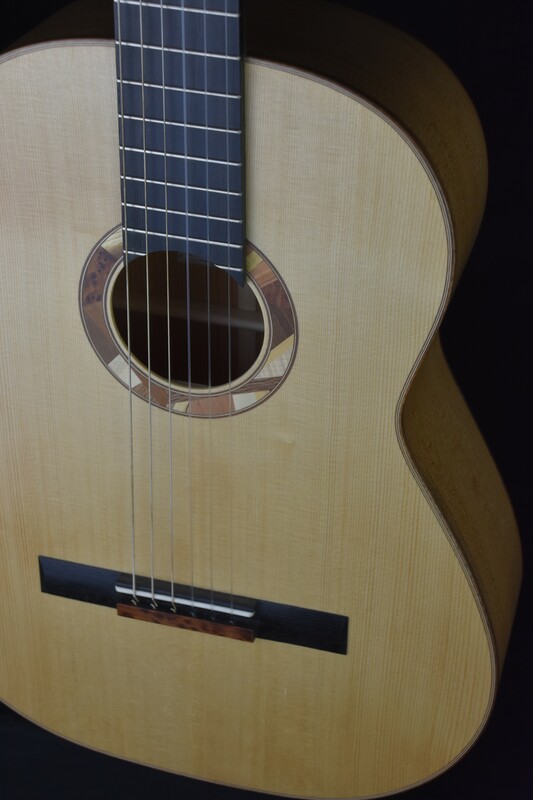 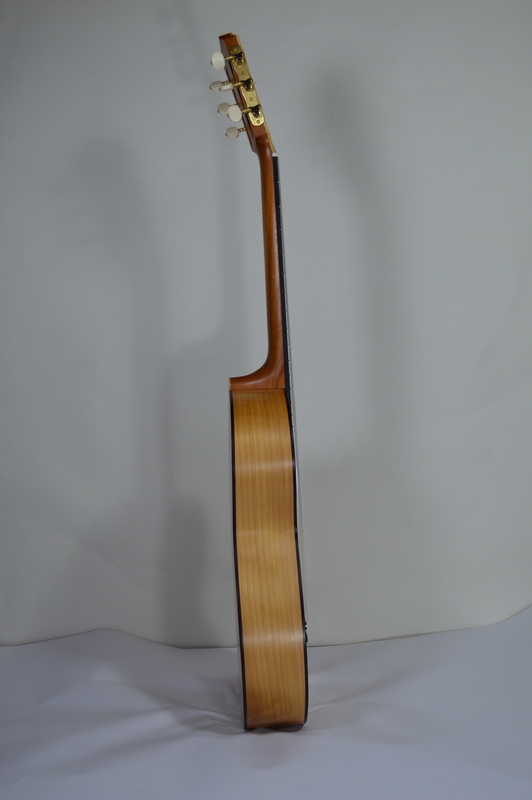 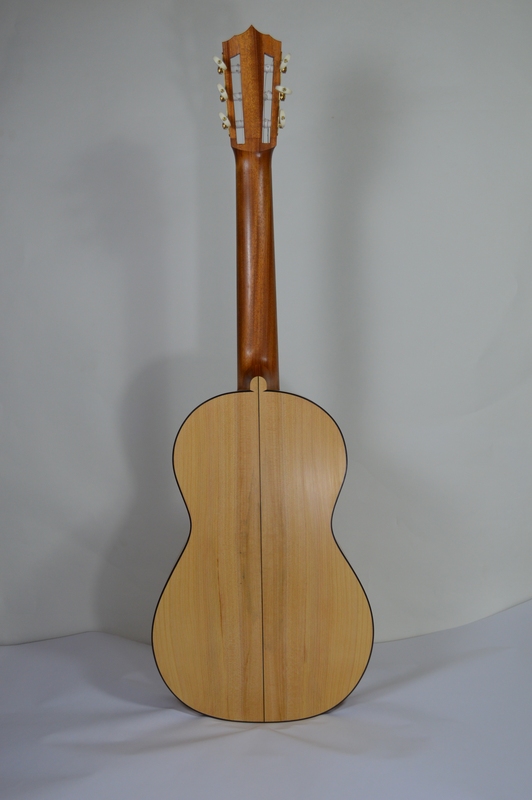 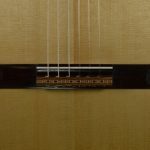 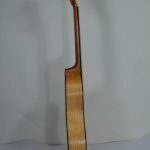 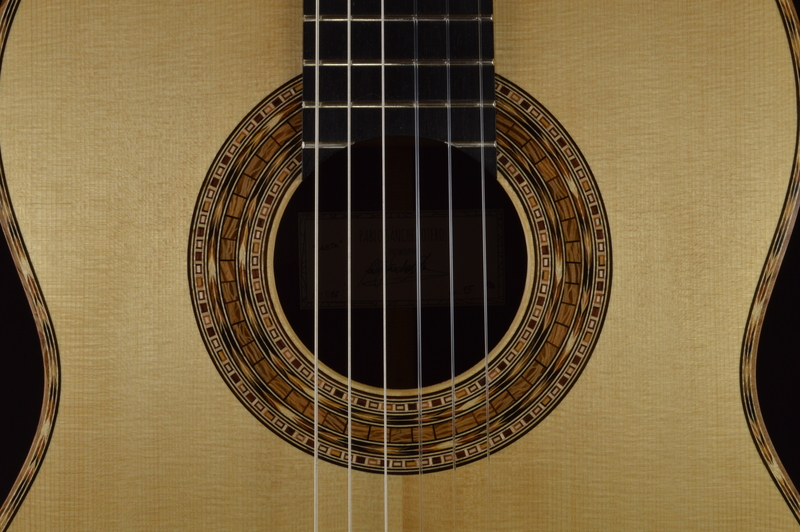 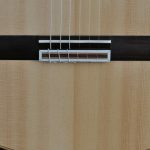 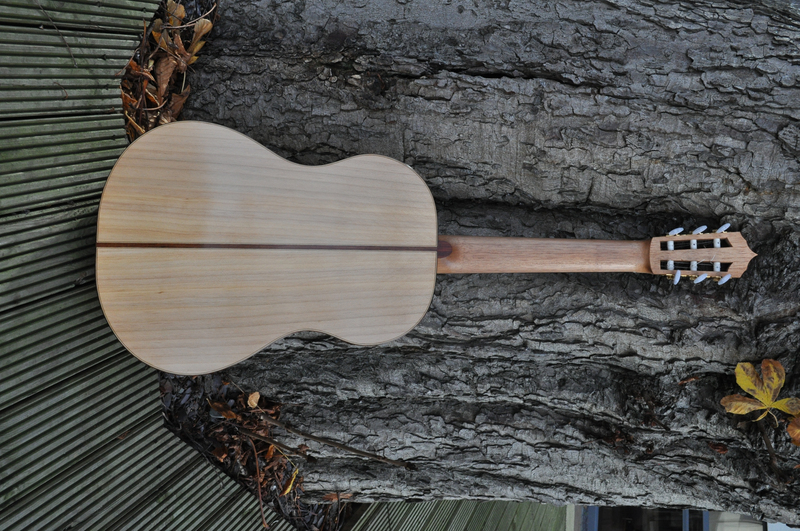 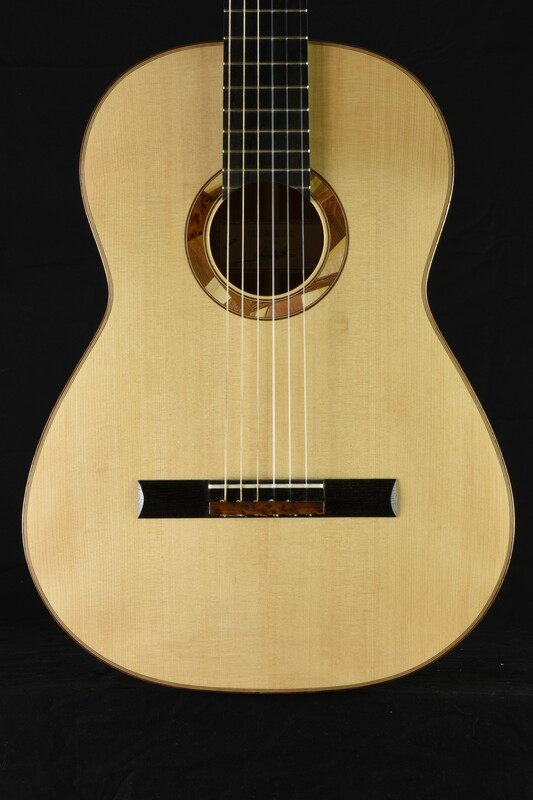 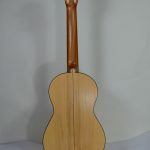 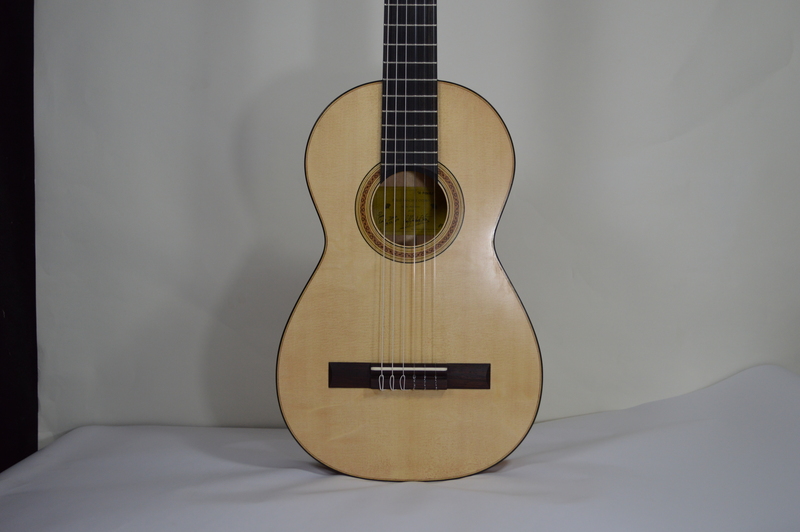 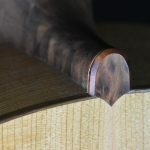 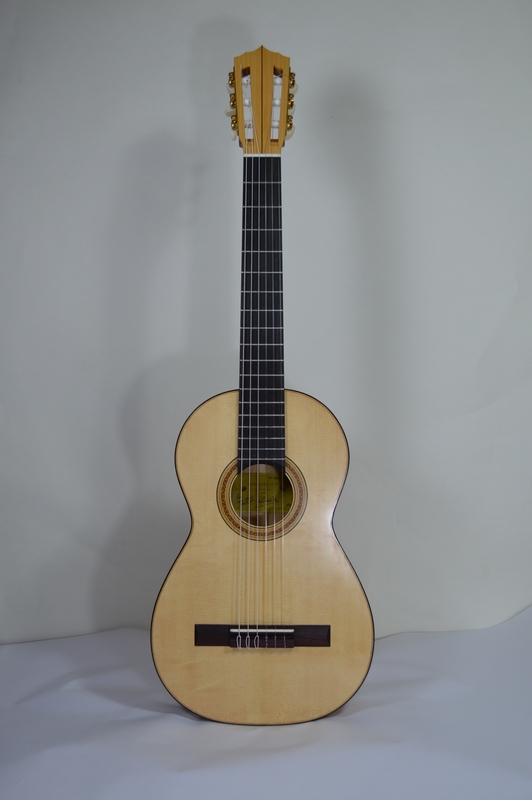 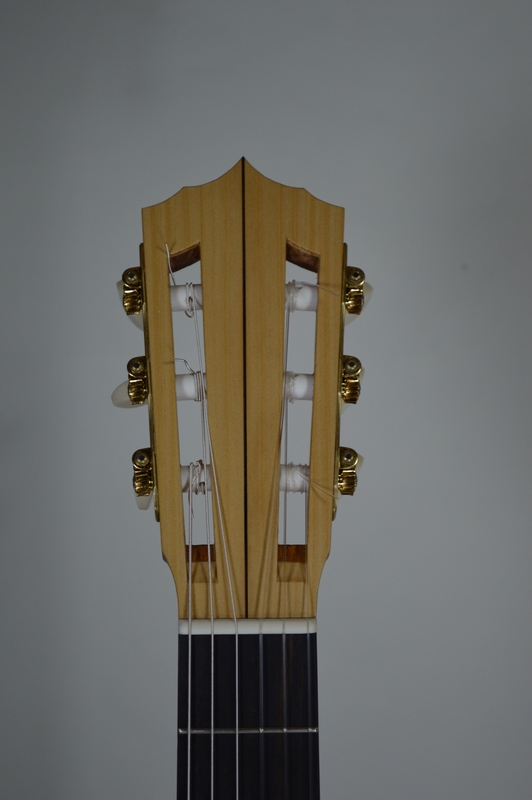 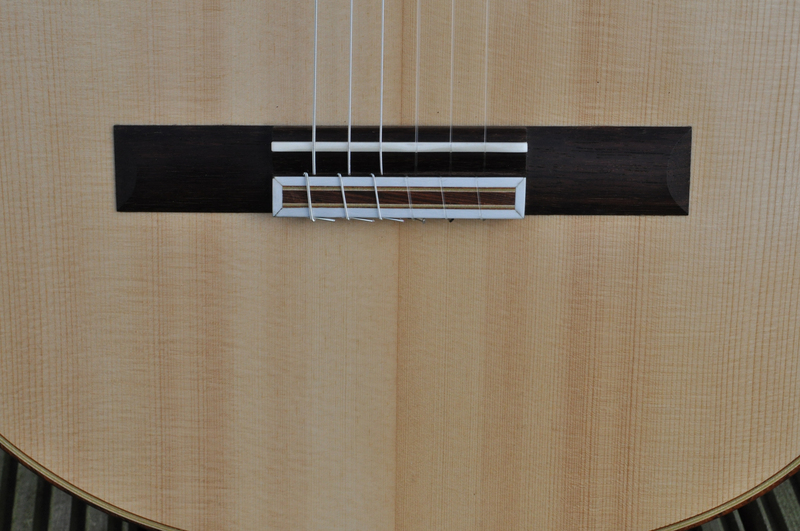 I currently make two models of spanish guitar. 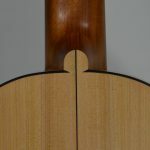 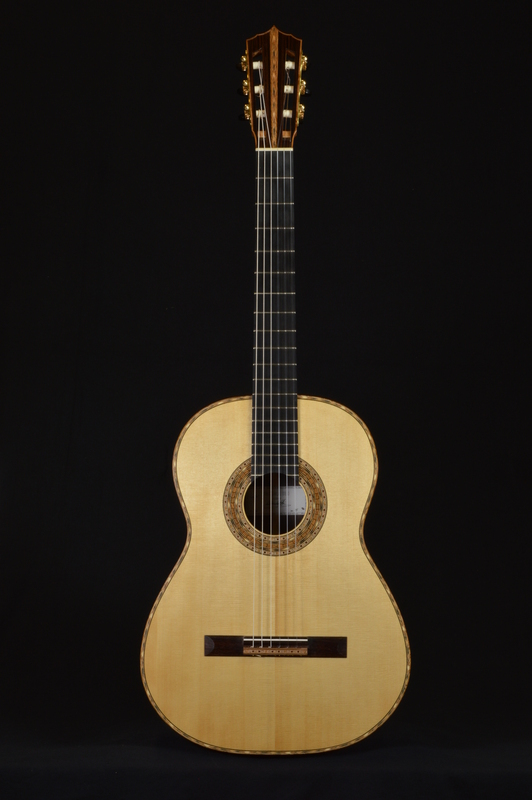 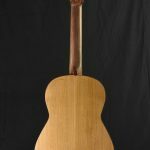 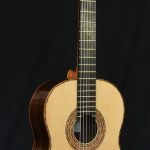 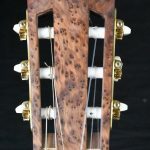 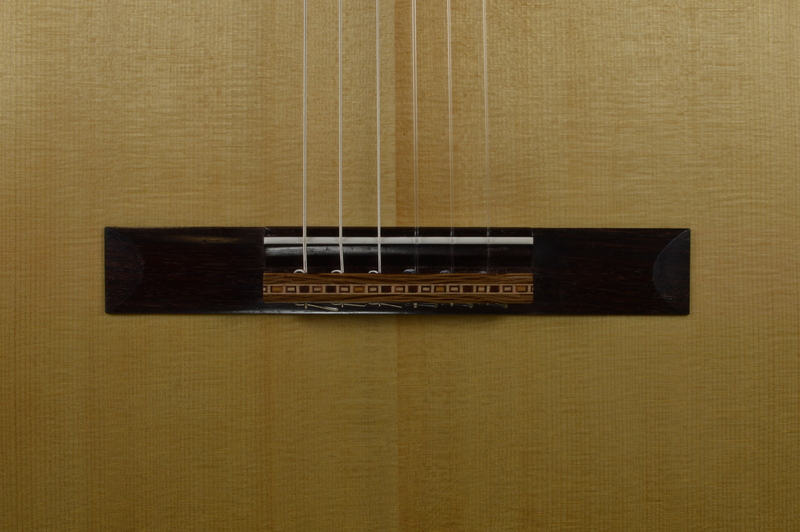 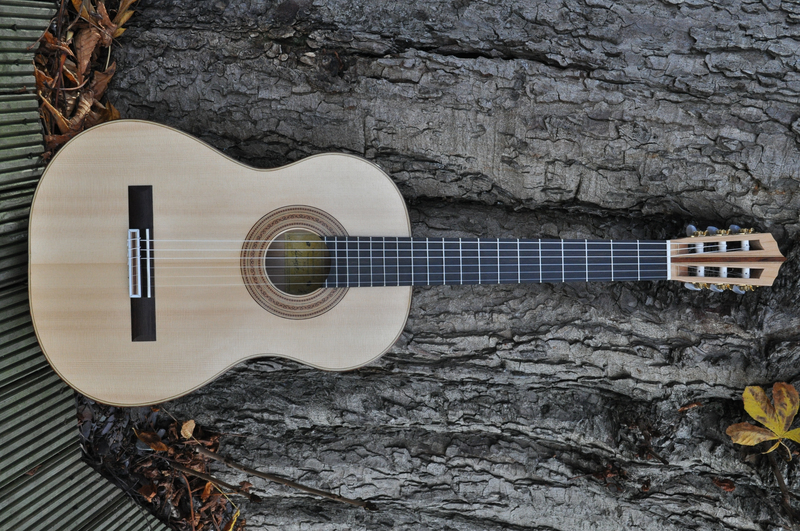 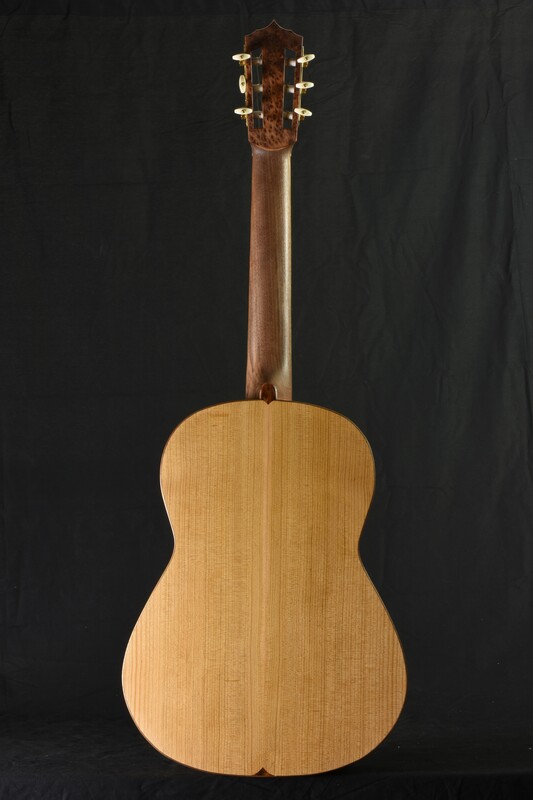 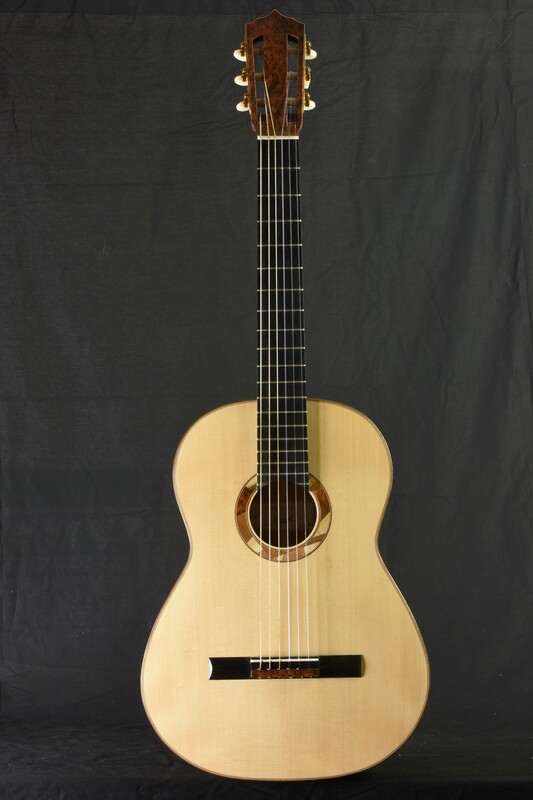 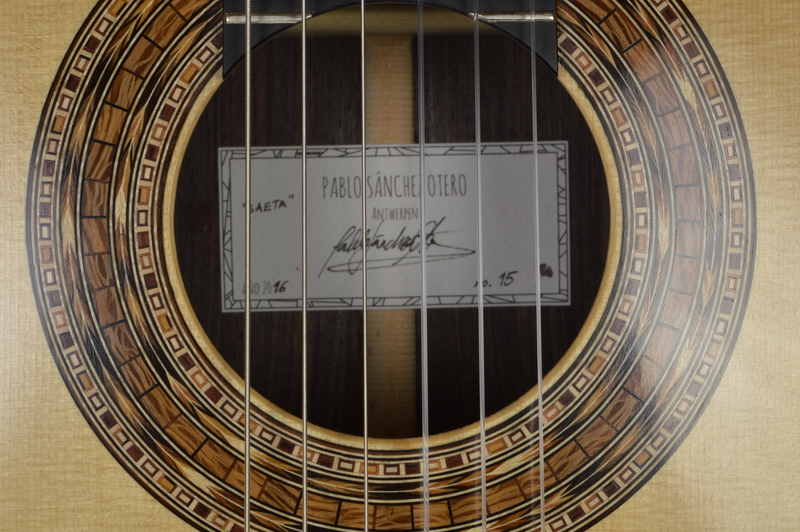 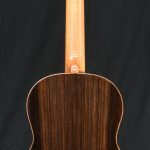 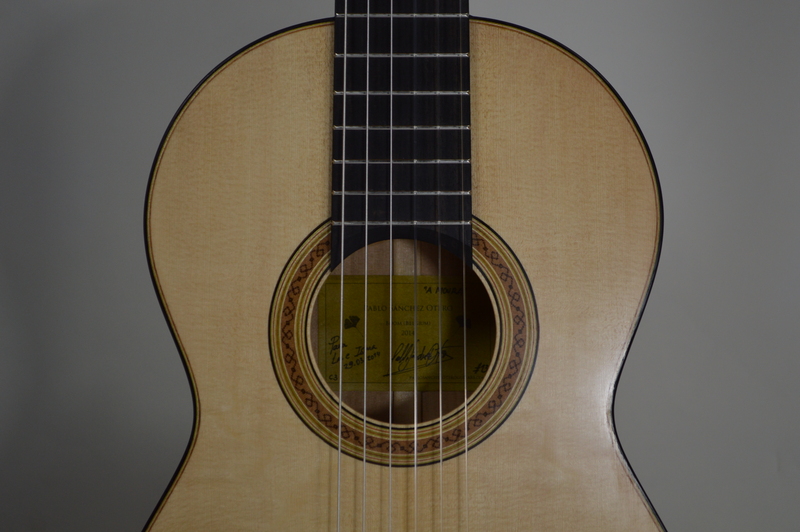 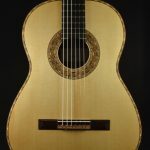 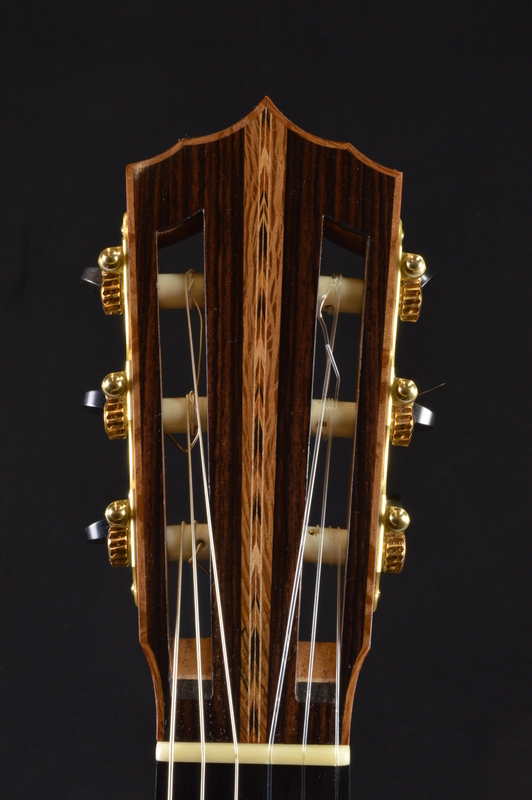 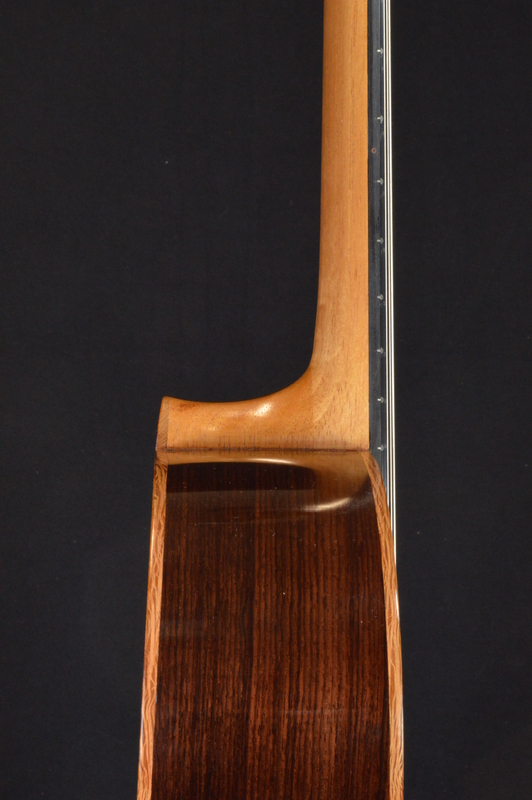 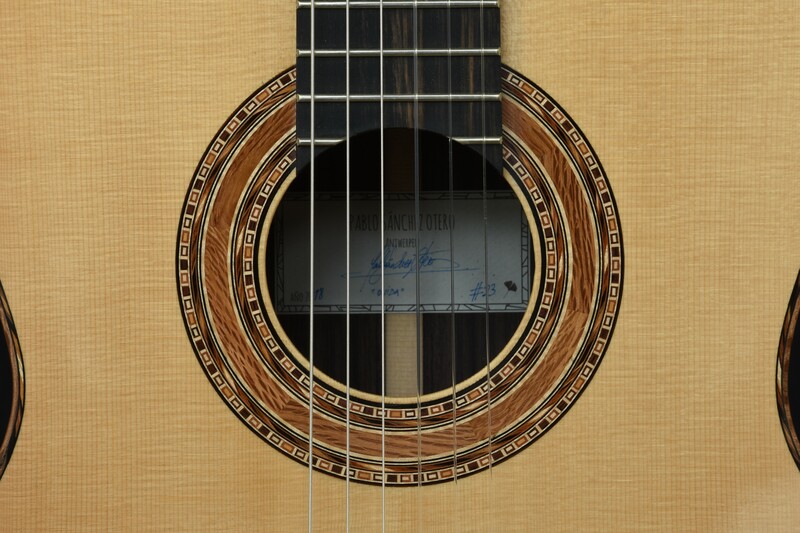 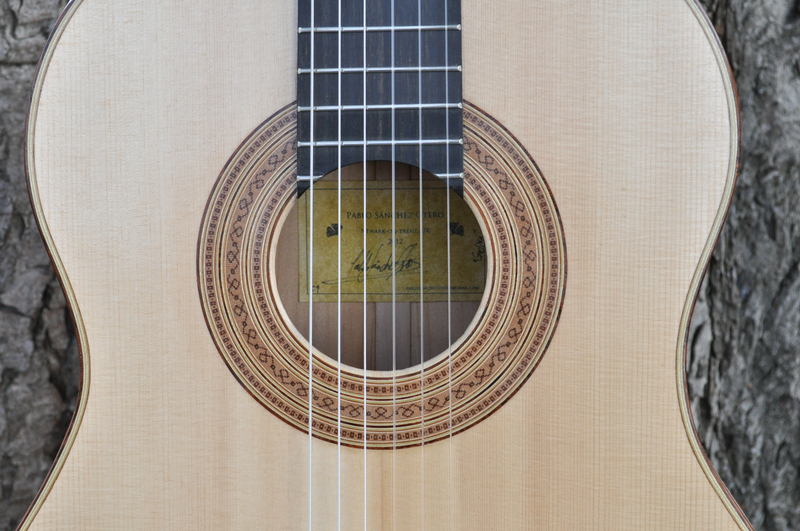 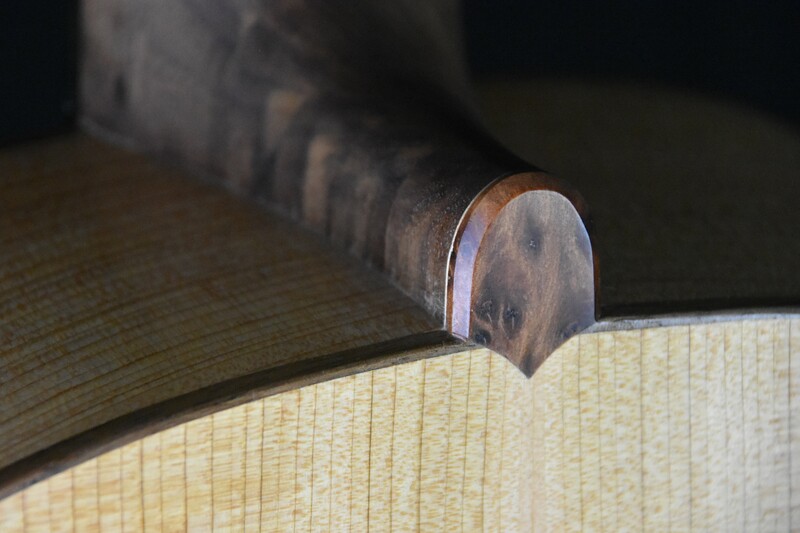 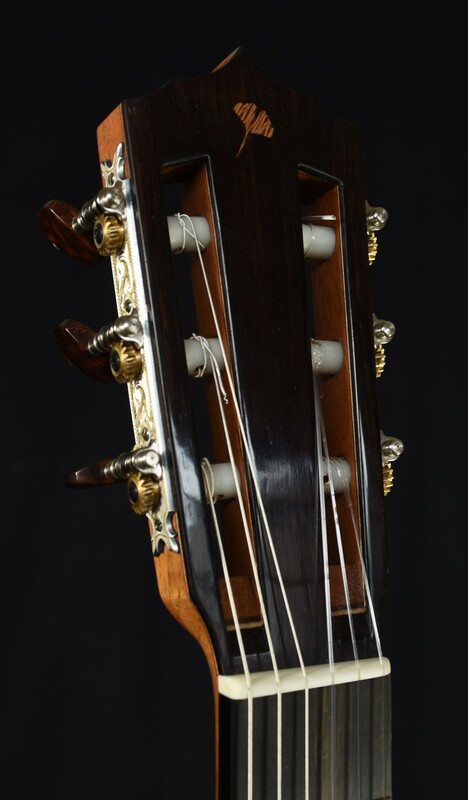 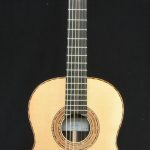 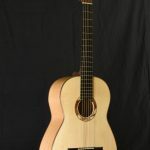 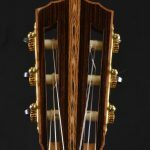 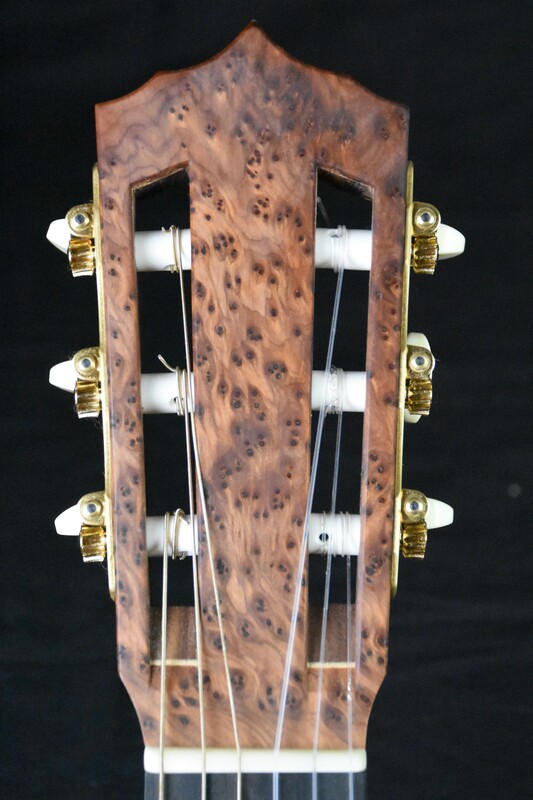 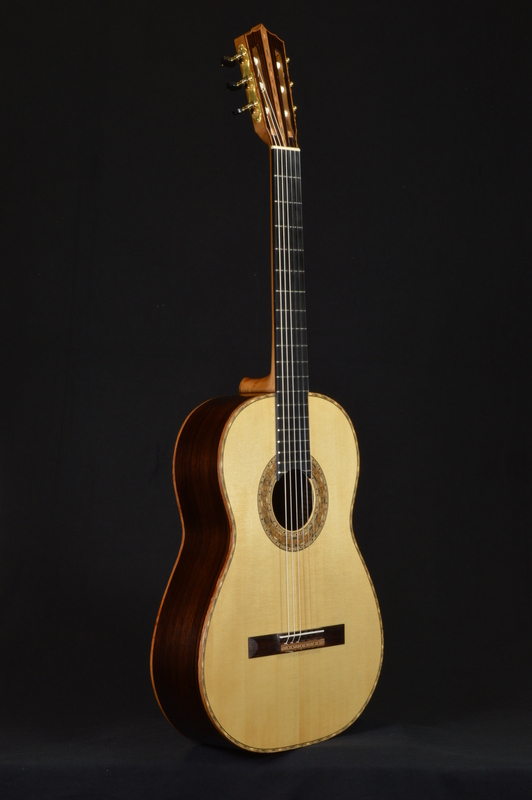 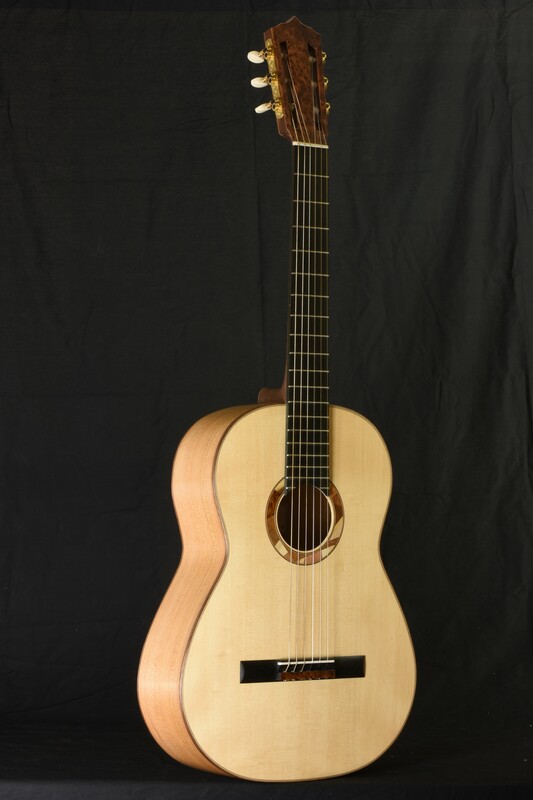 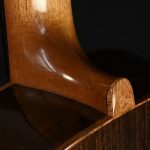 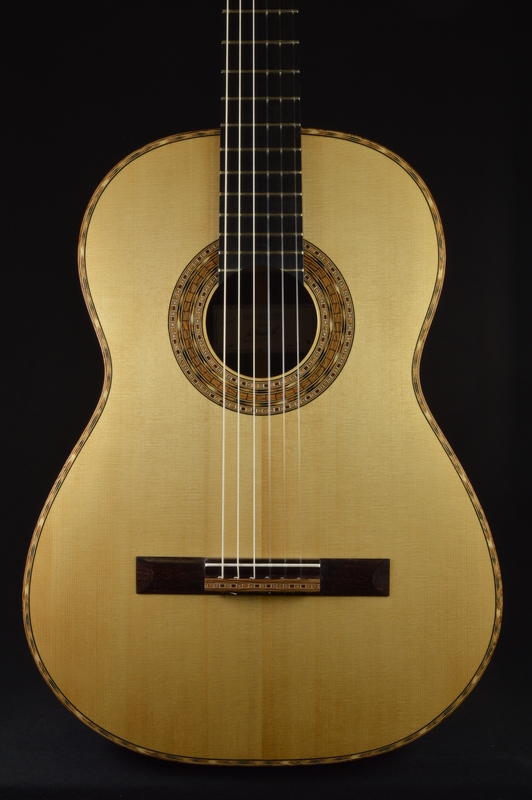 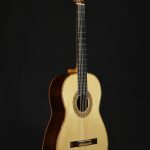 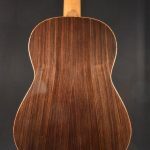 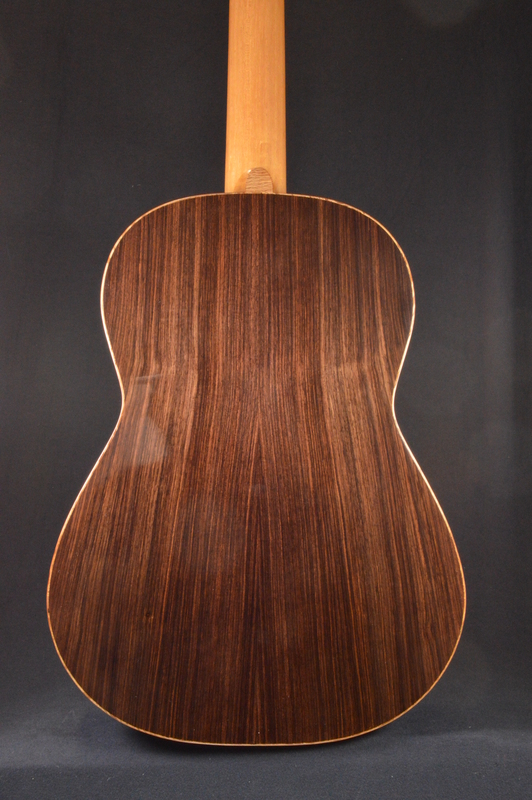 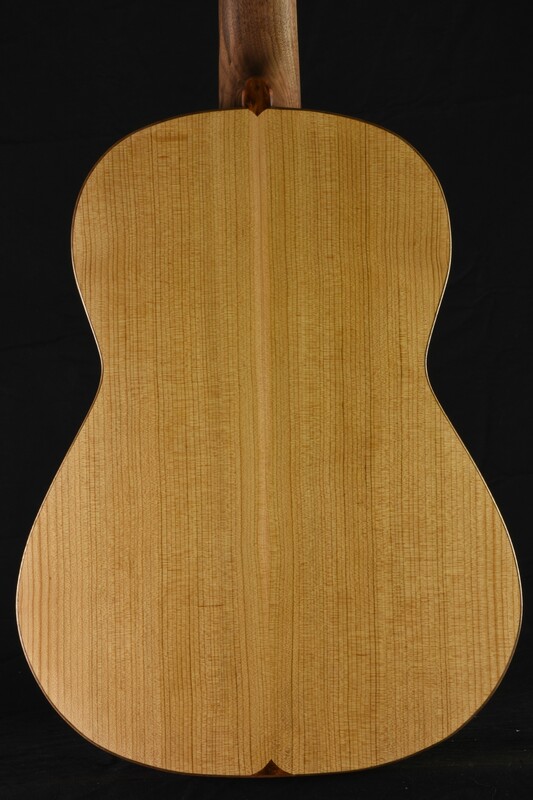 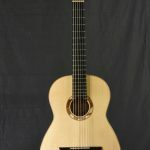 For this model I use the shape of the Torres SE114 from 1888. 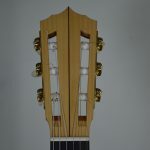 It is a guitar with light construction, expressive and with a quick response, with deep basses and defined and balanced mids and trebles. 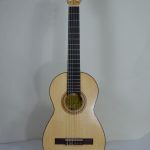 I you would like more information about the possible options for this model, click here to see the catalogue. 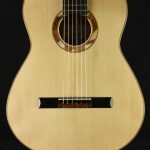 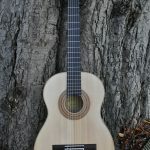 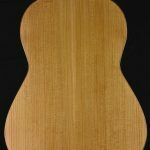 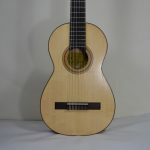 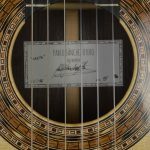 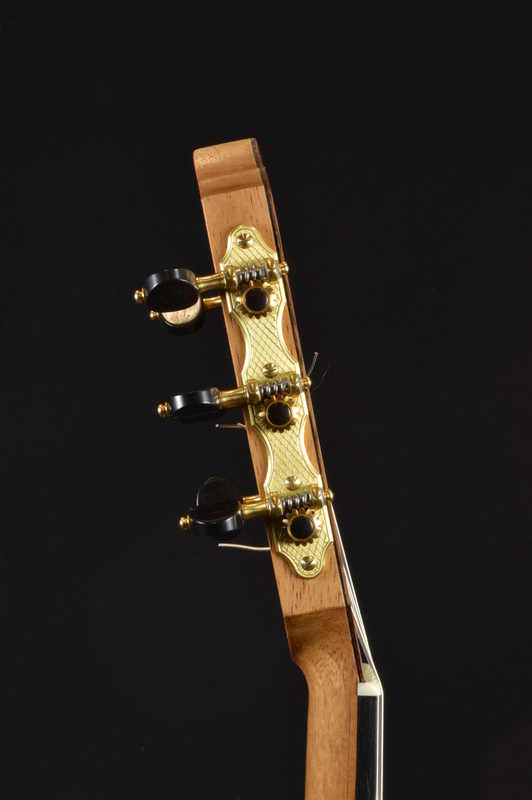 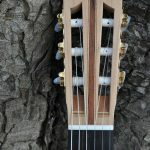 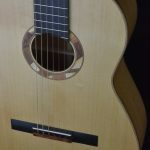 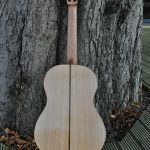 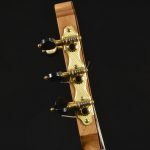 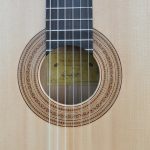 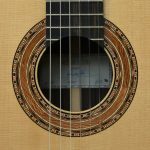 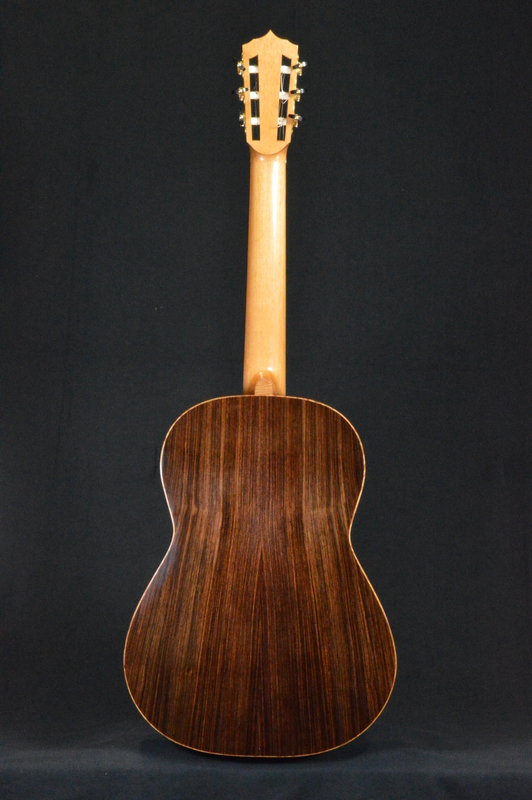 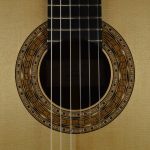 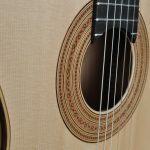 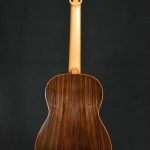 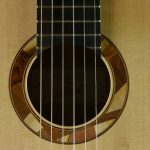 Based on the Torres SE117, this little guitar with a string length of 604 mm has a surprisingly warm sound and, even though it is not as powerful as the big Torres model, it is the perfect instrument for those who want a small and balanced guitar. 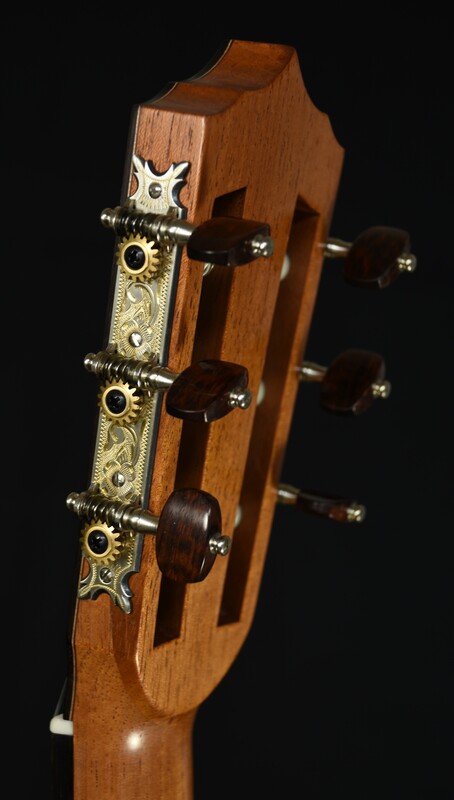 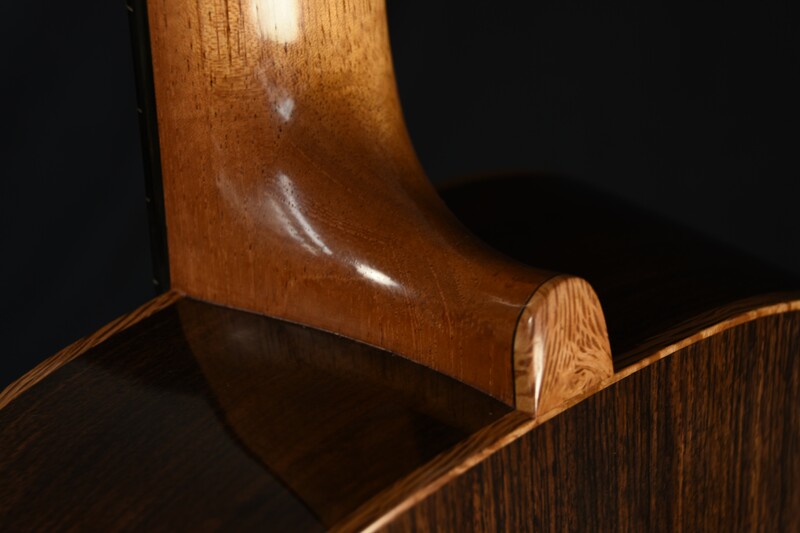 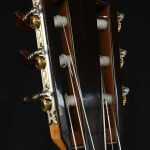 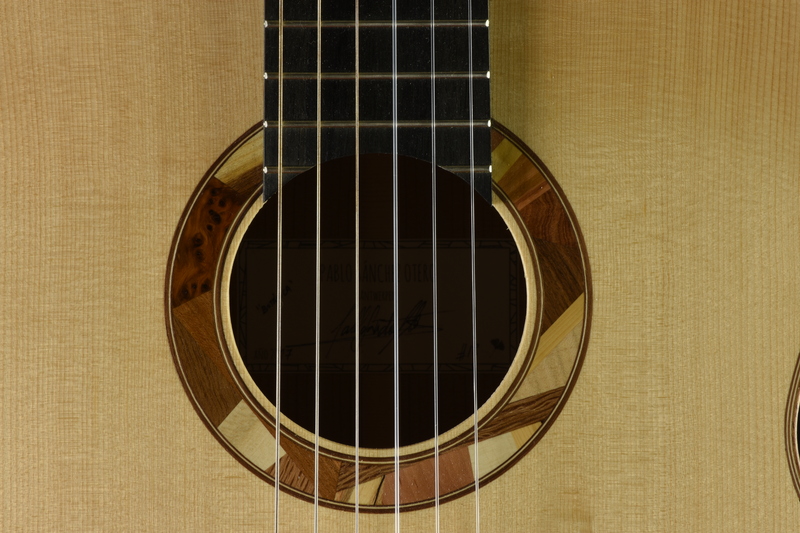 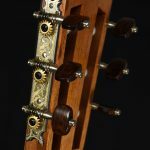 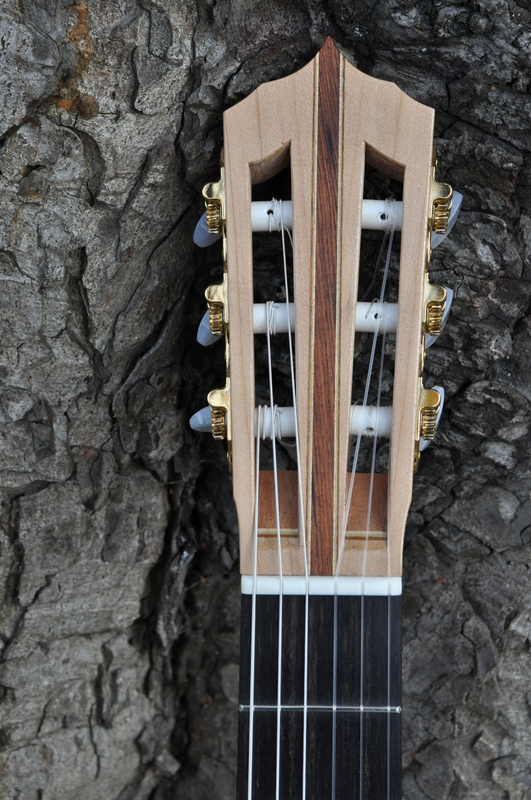 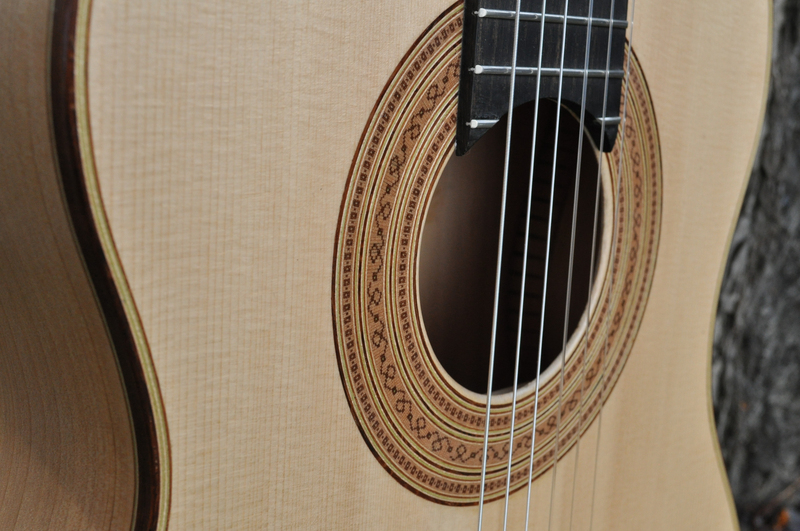 The decoration, as in the original guitar from 1888, is simple and elegant. 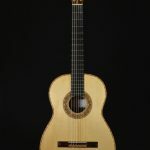 If you would like more information about the possible options for this model, click here to see the catalogue. 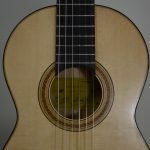 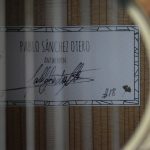 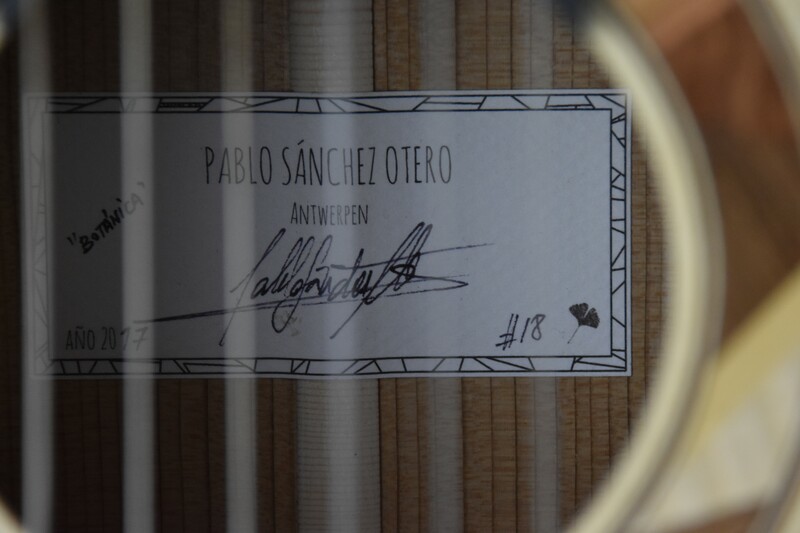 Here you can see a gallery with some of my spanish guitars. 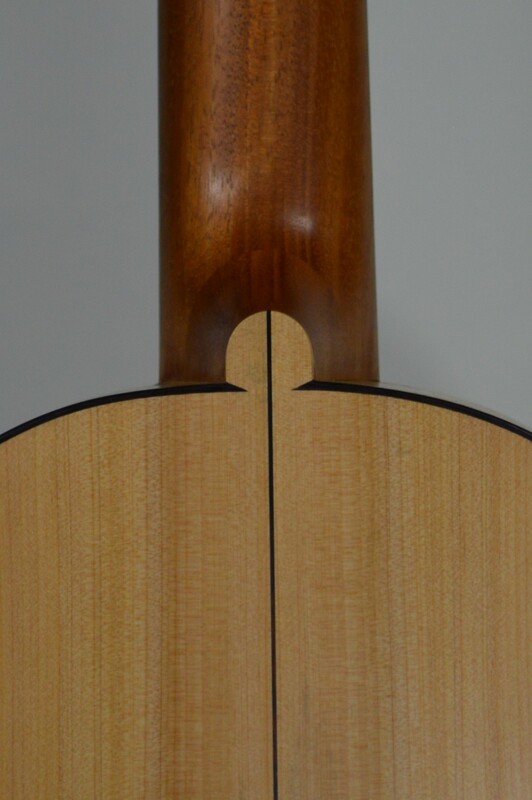 Click on a photo to enlarge.